Murder by Gaslight: The Mysterious Murder of William Wilson. Around 7:30, the night of August 16, 1897, Officer Smith of the Philadelphia Police found the back door of Wilson’s store open and suspected burglary. Investigating by candlelight, Smith found the store in disarray and saw a pool of blood on the floor with a trail of blood leading behind the counter. There he found Major Wilson’s body, with a towel around his neck and his face and head “beaten to a jelly” by a hammer which lay near the body. Major Wilson had been robbed of his gold watch and chain and other pieces of jewelry; bloody fingermarks on the cash register indicated that after the murder the killer had opened the cash drawer. It appeared to be the work of a clumsy burglar driven to murder out of fear of detection. However, it also appeared to be the work of someone familiar with the store. The register was especially secure, requiring three movements to open the cash drawer; only someone who knew the register could open it. The chief clerk, William Roller, had seen Wilson securely close the drawer before he left the store. He also said the register contained only $2.51. Everyone connected with the store was questioned and all had alibis. Roller told police that Wilson was not a man to make enemies and knew no one who bore him ill will. A former employee, Hiram Hazzard, had left a year earlier after a quarrel, but he had been in New York fishing the night of the murder. With very little to go on, the police and press followed every possible lead. In the first two days, eleven suspects had been arrested and released. The Philadelphia Inquirer offered a $1,000 reward for information leading the to the arrest and conviction of the killer. Without solid evidence, the newspapers tried to build sensational stories around every bit of information they had. One story speculated that Wilson’s eyes had been destroyed because the image of the killer may have been retained on the retina—a popular but spurious theory at the time. Major Wilson’s will was thought to contain a clue to the mystery; it did not. A woman in police custody claimed that she knew the name of the killer. The police did not release her name or his, but neither was charged with the murder. The night of the murder an excited man not wearing a hat or coat had entered the Bingham House Café saying he had been struck by a trolley car and his coat, vest and hat had been ruined. The Inquirer thought it “not altogether improbable” that he had discarded the clothes because they were saturated with Wilson’s blood. A few days before the murder Wilson had sold some wooden boxes and when the buyer came to pick them up Major Wilson’s porter was upset over the extra work. The porter, Marion Stuyvesandt, a black man who was born and raised in Dutch Guiana, angrily said that he deserved higher wages than Wilson was paying him. Stuyvesant was investigated but he had an alibi for that night. Major Wilson was known to be a morphine user. Perhaps he had known others who were slaves to the drug, and maybe he was supplying morphine to some poor wretch who could not buy it. Maddened for want of the drug the fiend had gone to the store and killed Wilson when he could satisfy his need. The druggist who filled Wilson’s prescription acknowledged that he was a heavy user but did not buy enough to furnish to someone else. The strongest clues that the police had came from eye-witnesses who had seen strangers around the store that night. The janitoress of the Franklin Building, Mrs. Lavinia, had seen three men in the ally, all were 5 feet 7 inches tall, all were between 25 and 35 years old, all were black coats and soft hats, one was stout with a mustache the others clean shaven, one wore a watch chain. A telegraph operator named Arthur Henke was walking home from work when he saw two men inside Wilson’s store and heard a scuffle from inside, all he could add was that one was white, and one might have been mixed-race. The descriptions added little usable information. With the investigation at a standstill and no new information coming from the police, the Philadelphia Inquirer published a fictional account of the murder. 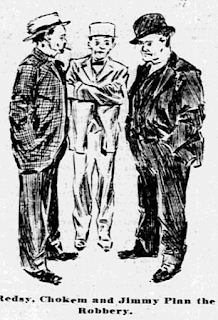 “Murder Most Foul,” by Philadelphia author and newsman Henry Starr Richardson, relates how the three suspects, who he names Redsy, Chokem and Jimmy, may have planned and executed the robbery and murder. All attempts to make sensations of it have failed. There was nothing mysterious about the life of this man. There is no 'woman in the case.' His one vice was the use of morphine taken to ease pain. He was not killed by a morphine fiend driven to desperation by denial of the drug. Some person or persons entered the library, struck him down, robbed the place and fled. That is the whole story. Coroner Ashbridge did not agree and following the inquest charged Marion Stuyvesandt with the murder. In spite of eye-witness testimony and the fact that Stuyvesandt had an alibi, Ashbridge claimed he had evidence he was not ready to reveal. Fingerprinting was not in common practice in 1897, but in what the Inquirer called the "Pudd’nhead Wilson feature" of the case Ashbridge had taken ink imprints of Stuyveandt’s fingers to match to the blood stains on the cash register. But when the grand jury convened no new evidence was presented and Stuyvesandt was released. Marion Stuyvesandt had spent a month in jail and he came out angry. He was a featured speaker at the Ninth and Arch Museum where he told the story of his persecution. The following April he sued the city of Philadelphia for $50,000 in damages. 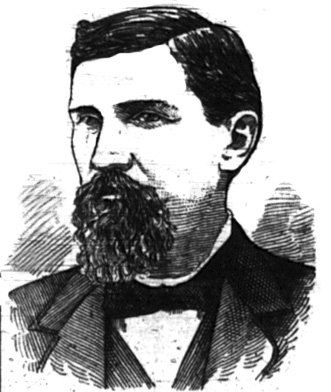 There was very little news on the Wilson murder until July 1898 when a career criminal named,Benjamin Lippy, better known as “Big Bill” Mason, was arrested in New York City. He was known to have been in Philadelphia in August 1897 and had confided to someone his intent to rob a wealthy Philadelphia miser. It was also said that at one time he was in possession of Major Wilson’s watch. Big Bill was brought to Philadelphia for questioning and the story caused several days of excitement but all the evidence against him was hearsay and he was never charged with the murder. New theories of Major Wilson’s murderer would pop up from time to time, but in the end, Assistant D.A. Barlow was correct in his belief that the fiend would never be brought to justice. 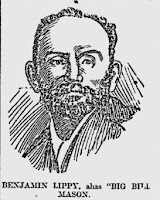 “Big Bill Mason as a Prisoner ,” Philadelphia Inquirer, July 17, 1898. “Henke Stood outside While Wilson Was Killed,” Philadelphia Inquirer, August 23, 1897. “Image on the Retina,” Philadelphia Inquirer, August 19, 1897. “The Inquest in the Wilson Murder Case,” Philadelphia Inquirer, August 28, 1897. “Minus Coat and Vest,” Philadelphia Inquirer, August 21, 1897. 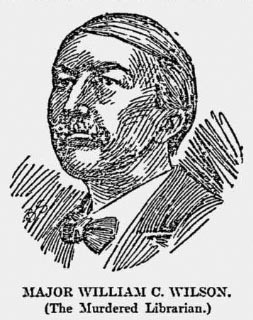 “Mr Barlow Gives it up,” Philadelphia Inquirer, August 26, 1897. “Murder Most Foul,” Philadelphia Inquirer, August 21, 1897. “The Murder of Librarian Wilson,” Philadelphia Inquirer, August 22, 1897. 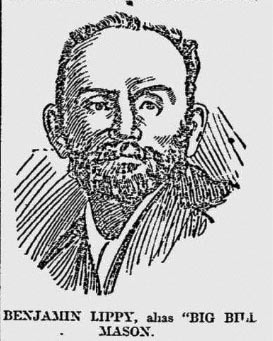 “Murdered in His Library,” Evening times, August 17, 1897. “The Mystery of Wilson's Murder Still Baffles the Detectives' Skill,” Philadelphia Inquirer, August 19, 1897. 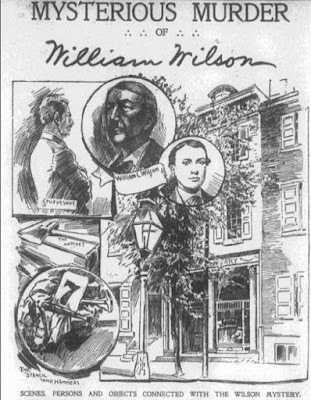 “Mysterious Murder of William Wilson Scenes,” Boston Journal, September 12, 1897. “Ninth and Arch Museum,” Philadelphia Inquirer, October 3, 1897. “Sale of Effects,” Philadelphia Inquirer, August 20, 1897. “Stuyvesandt Sues for Damages,” Philadelphia Inquirer, April 8, 1898. 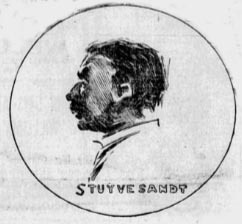 “Stuyvesandt's Fate with the Grand Jury,” Philadelphia Inquirer, September 30, 1897. “Test of Finger Prints,” Sun and New York press, August 28, 1897. “Wilson's Will May Have Furnished a Clue to the Murder Mystery,” Philadelphia Inquirer, August 20, 1897. I love the name of Major Wilson's store! "Wilson’s Circulating Library", other words a bookstore. Back in the day it seems to me they really knew how to use the English language to say a lot with few words. Thanks for another great post! 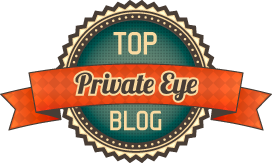 This is my favorite website and I'm checking in weekly to make sure I don't miss a thing!